Welcome to the offices of Dr. Paul Aufderheide, DPM, Dr. Brittany Logan, DPM, and Dr. Anthony Maiolino, DPM. 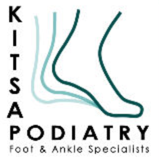 Our friendly and knowledgeable staff have been treating lower extremity problems for residents of the Kitsap Peninsula for more than 30 years. Our doctors have the experience and training to treat all facets of foot and ankle pathology both surgically and non-surgically. Whether its ankle pain, foot pain, tendinitis, overuse/sports injuries, fractures/sprains/strains, pediatrics, skin/nail conditions, or diabetic foot issues, we are here to help keep your life in motion - we've seen it all.